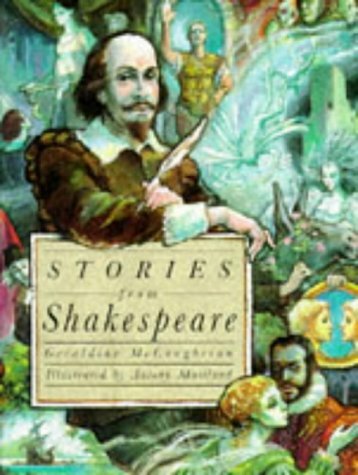 Ten of Shakespeare's greatest plays, retold for children by multi-award winning author Geraldine McCaughrean. From love, jealousy, greed and betrayal to mad kings, magic and murder, Geraldine McCaughrean retells some of Shakespeare's best-known stories, including Romeo and Juliet, Henry the Fifth, A Midsummer Night's Dream, Julius Caesar, Hamlet, Twelfth Night, Othello, King Lear, Macbeth and The Tempest. With easy to follow prose punctuated with well-known quotations and featuring a cast list for each play, this accessible collection will delight and entertain readers of all ages. Geraldine McCaughrean's novels and retellings for children have won her the CARNEGIE MEDAL, GUARDIAN CHILDREN'S FICTION AWARD, WHITBREAD AWARD and THE BEEFEATER AWARD. A prolific author who writes for all ages, she lives in Berkshire with her family.